When can I register my child for classes? Can we try out a class before signing up? Observing is allowed only from the balcony. This allows our gymnasts and coaches to keep their focus! Yes! All of our equipment is FIG certified. Are your coaches safety certified? Yes! We ask that all of coaches get safety certified and expect them to be certified shortly after hiring. Am I allowed to video my child during lesson and/or take pictures? Yes! Except, we do ask that for the safety of our students, there is absolutely no flash photography allowed. Can I eat upstairs on the balcony? Yes! We do ask, however, that no gum is allowed as we have found it in the weirdest places. Yes! We offer a $5.00 military discount (with military ID) per month. There is also a second child discount that will be offered for $5.00 per child to any family. Can the gym be rented out? Yes! 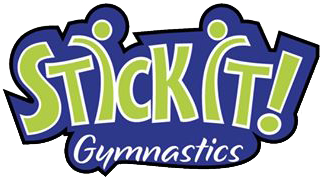 Any organization interested in renting our gymnastics facility should contact our office. Cheerleading teams and independent organizations are welcome to contact the gym office to set up a time slot or weekly class. Prices may vary.